Zoran Djordjevich, Chief Veterinarian, performs our veterinary orthopedic surgery for pets at Mohnacky Animal Hospital of Carlsbad. 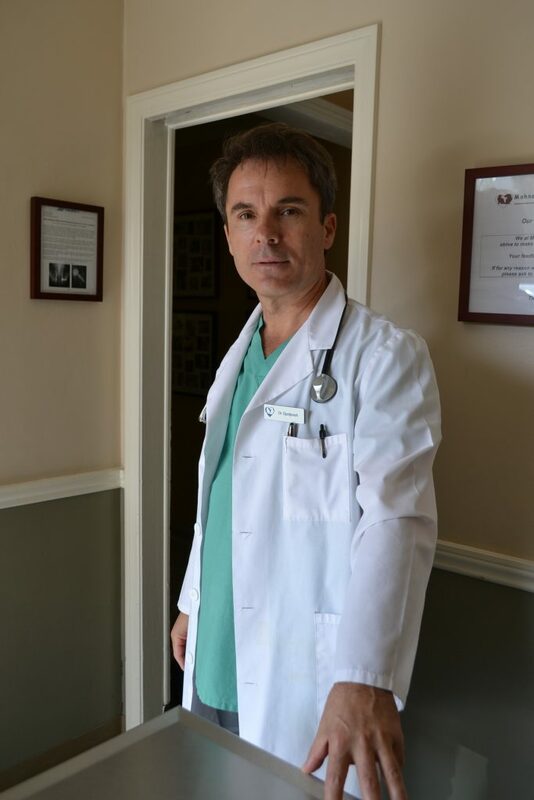 Dr. George has a strong interest in dog and cat orthopedic surgery, and has performed over 1100 procedures including TPLO (Tibial Plateau Leveling Osteotomy), TTA (Tibial Tuberosity Advancement), Patella Luxation Repair, Total Hip Replacement (THR), and a multitude of Fracture Repairs for the past 19 years at Mohnacky Animal Hospitals. Dr. George also offers Adult Stem Therapy and Platelet-Rich-Plasma treatment in conjunction with orthopedic procedures. These modalities enhance the natural healing capacity within the patient’s body or “Helping pets towards healing themselves”. As Mohnacky Animal Hospital’s Chief Medical Director, Dr. George provides valuable operational knowledge, insights and skills to all our doctors. He has the capacity to not only perform our orthopedic procedures, but we then have the luxury for a careful and complete follow-up by our in-house veterinary orthopedic surgical team which helps to ensure optimal patient recovery. Dr. George is always an available resource regarding orthopedic cases and offers courtesy consultations by appointment or referral basis.